People say that size counts, normally meaning bigger is better. But in the world of electronics, that rule gets turned on it’s heads with people trying to shrink products as much as possible. The question comes when dealing with sports electronics, can you go too far? 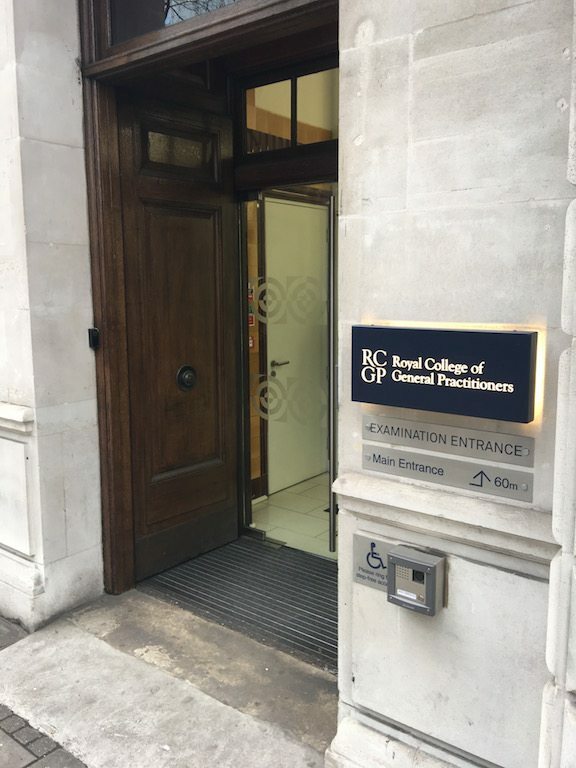 There has been a slight hiatus at TitaniumGeek as I have prepared for my exam, which I sat a few days ago. So whilst that’s out of the way (results pending), lets get back to looking at some of the kit I’ve been using! 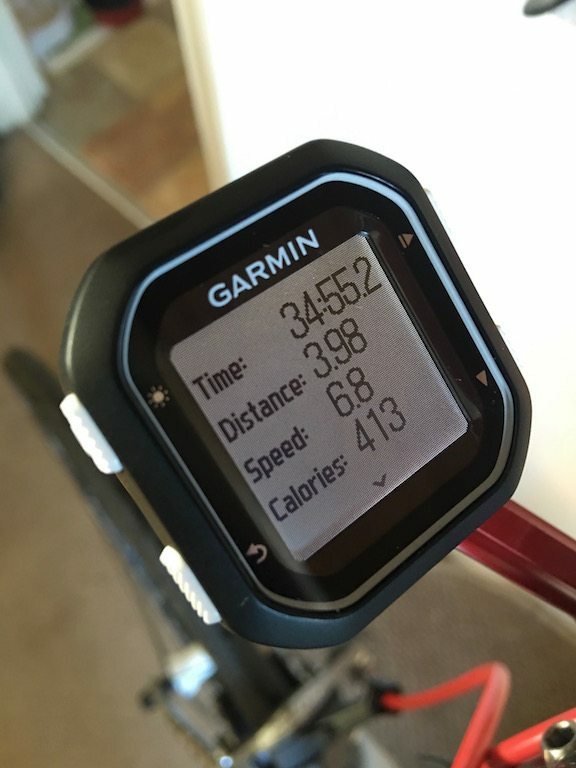 – Starting with the Garmin Edge 25. 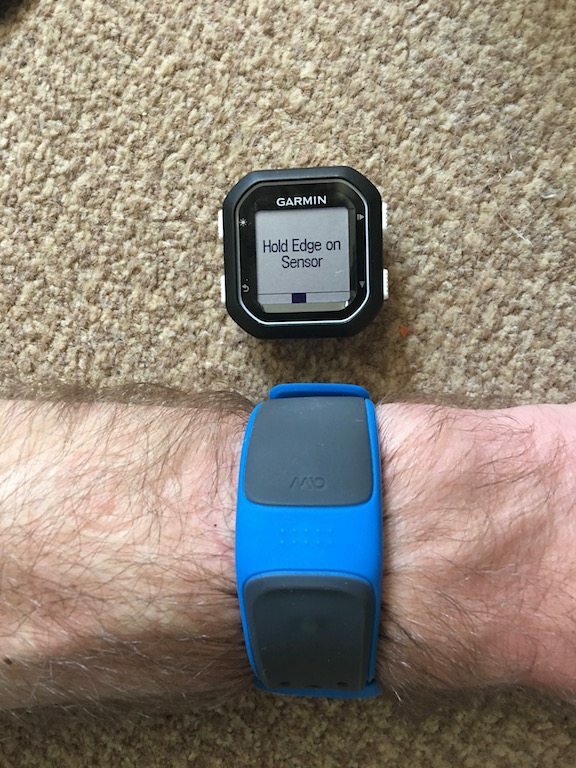 Then Garmin released the Edge 1000, a beast of a device. 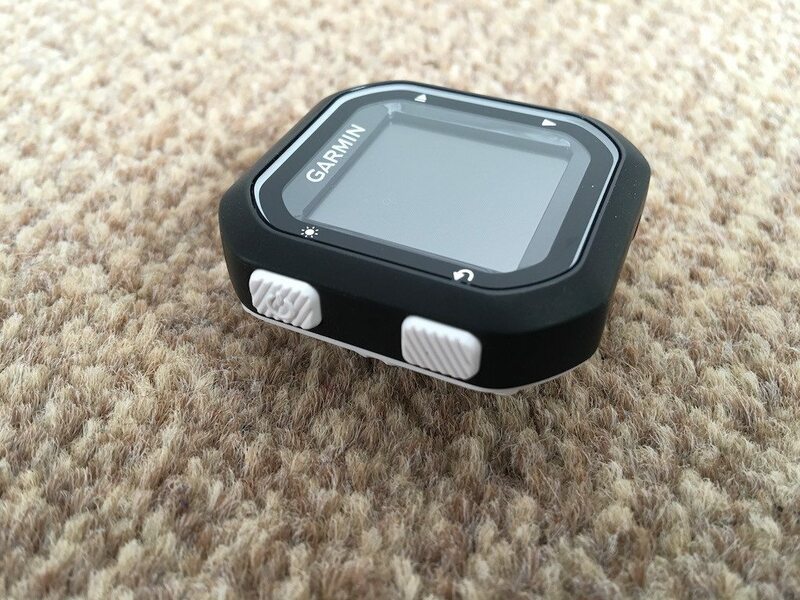 Aimed more at the road biker, than touring, with advanced power fields and displays. 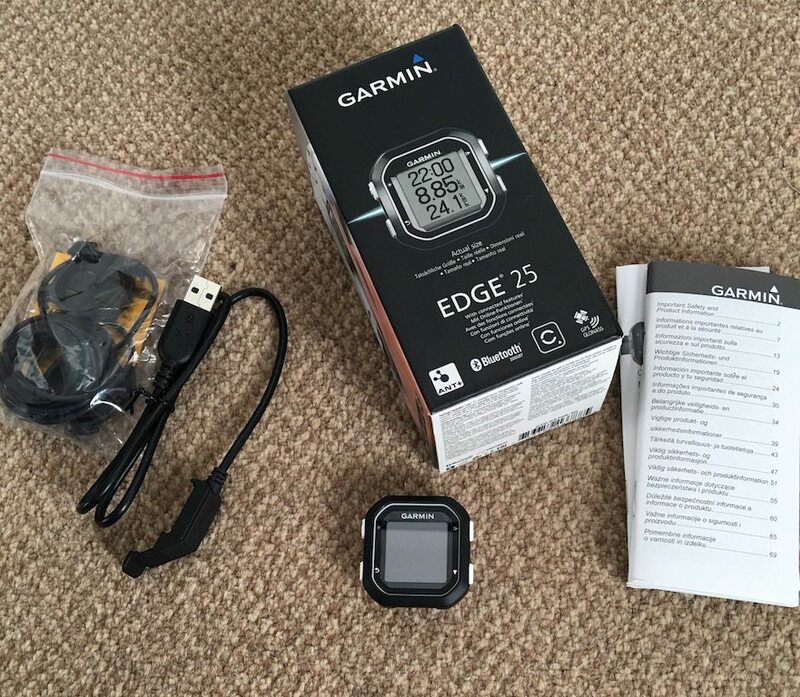 Now Garmin have pushed the other extreme out of the door, the Garmin Edge 25. It’s a box! 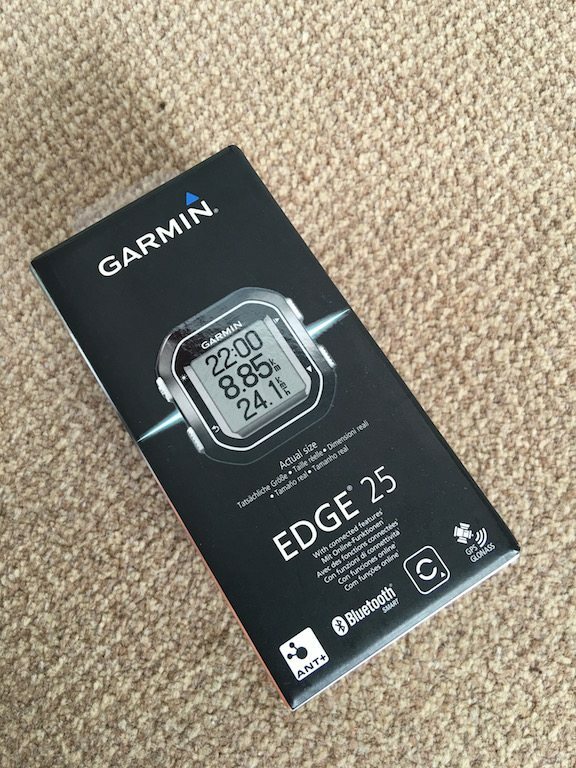 A successful box, if nothing else Garmin have managed to NAIL making boxes. Hold on…There is nothing in here! Well actually there is, but you have to ferret to find it! There is a whole lotta box here for, almost no product! 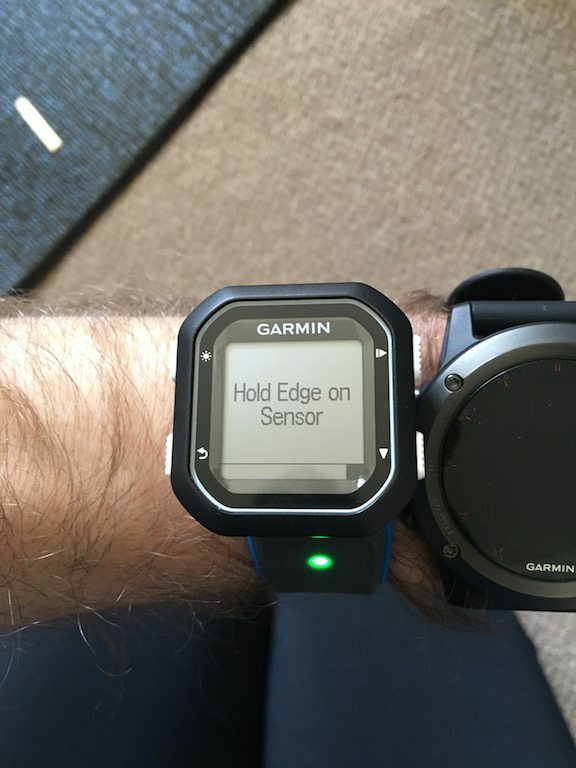 Maybe Garmin could like a little more about their boxing strategy? 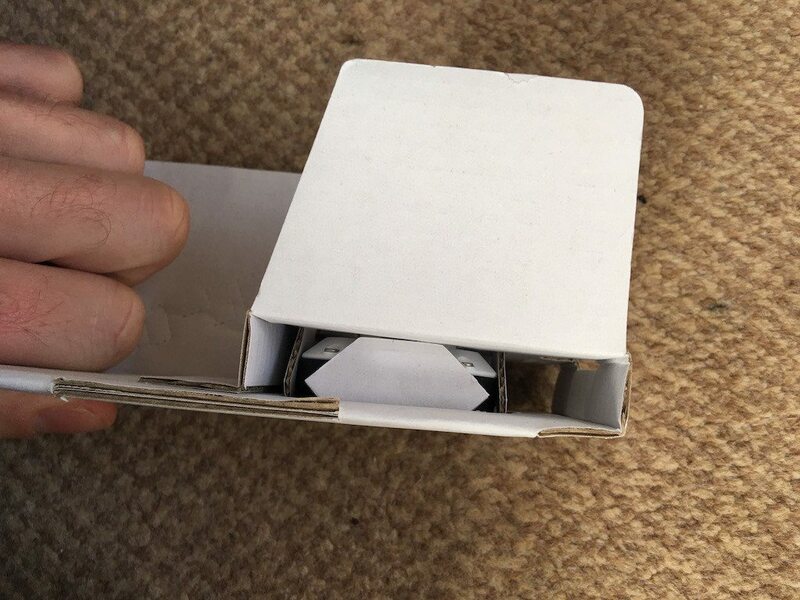 So in the box, we’ve the usual gubbins. 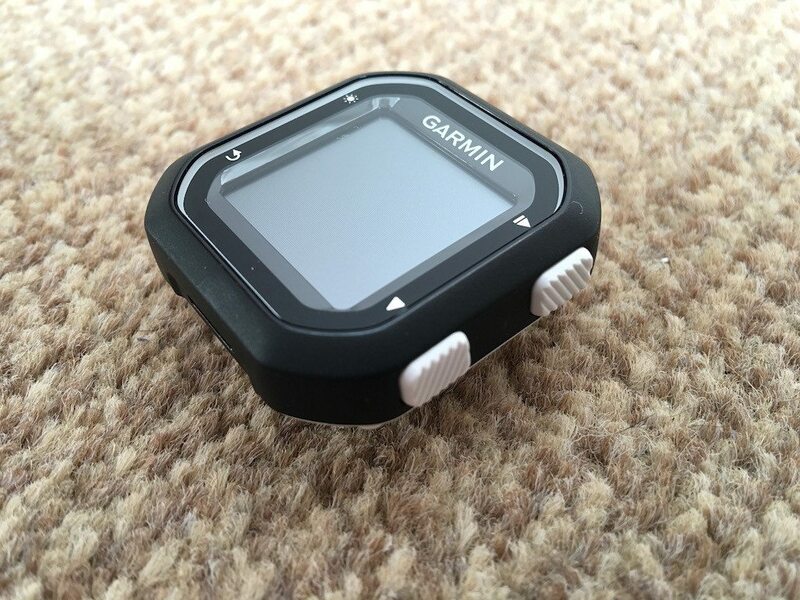 – Another unit specific contact charger – please for the love of my cable box STANDARDISE GARMIN PLEASE!!! 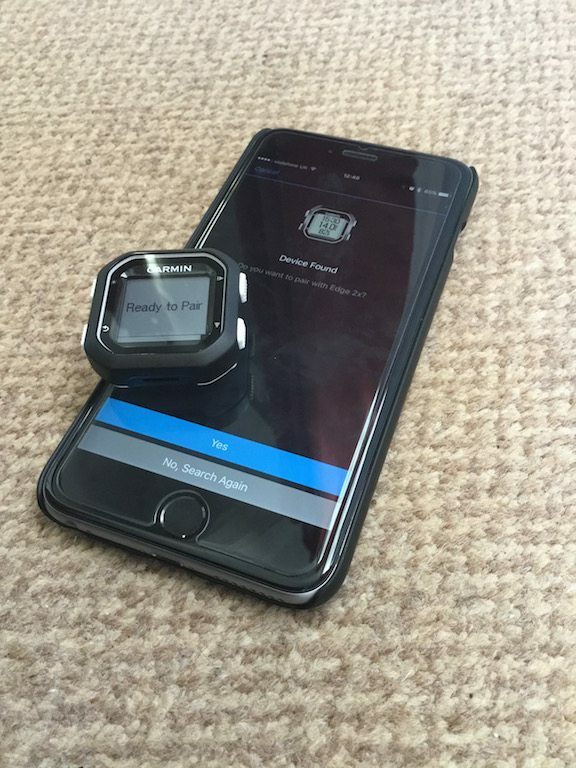 We’ve a monotone screen – which works well on a device this size. It would probably add unnecessary weight and cost to add a colour display here, and it’s just not needed. The screen is evenly lit with white LEDs and is easily discernible at a glance when using the unit. 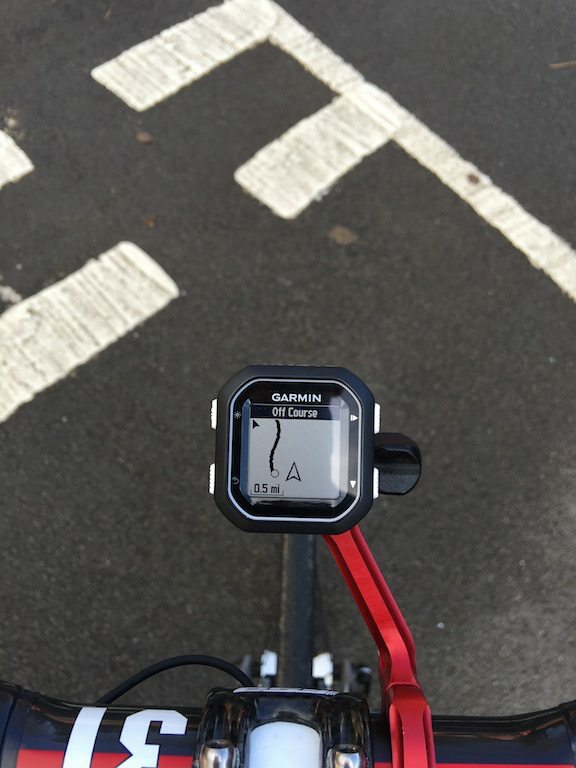 No touch screen on the Garmin Edge 25 – will all functions controlled through four white buttons on the size of the unit. Yes you can see them easily, but as a personal point, I’m not a fan of white plastic on devices where there is a reasonable chance that you’re going to be interesting with the device with possibly muddy/dirty/oil fingers – no one can predict a broken chain link! 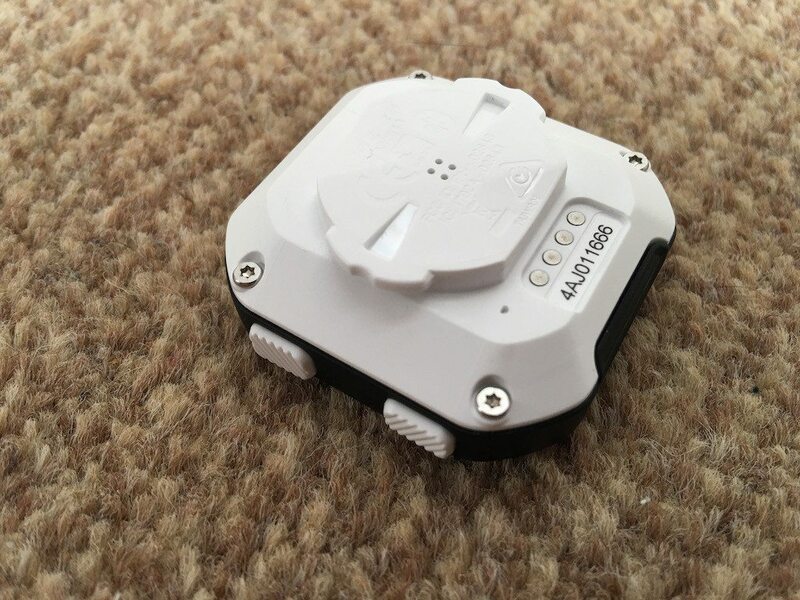 Staying with the white plastic, when you turn the unit over, the back is all white plastic as is the Garmin quarter turn mount. 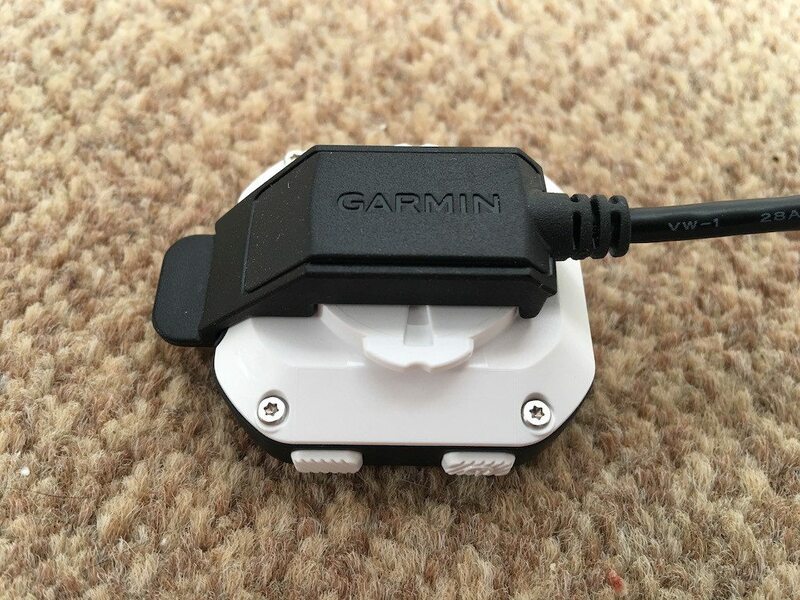 I think you can really get an idea how compact the engineers have managed to make the Garmin Edge 25, in that they have to use a cut down quarter turn mount on the back of the device! Also on the back on the metal contact pads for the USB charger. 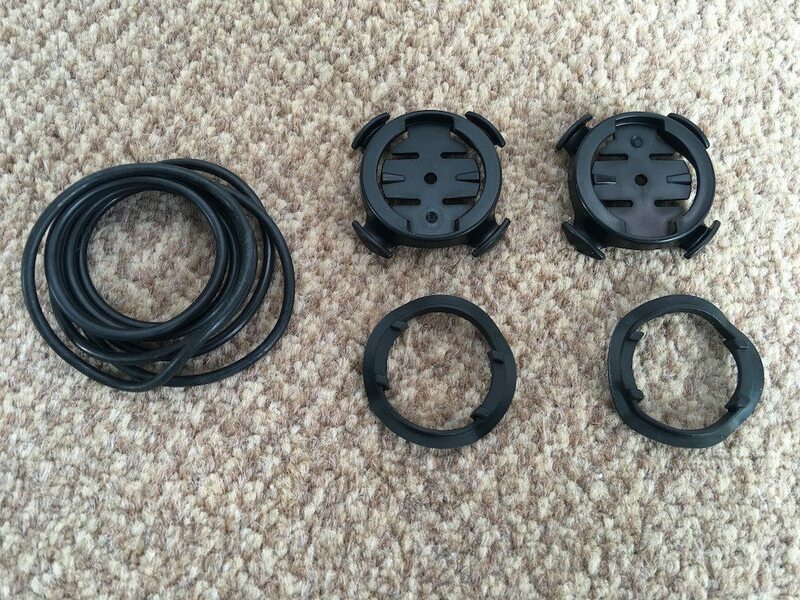 The charging cable also functions as a dock, with a piece of rubber on the back of the clasp. It makes for a very effective and functional charging combination. If we are going to have propriety chargers on every device. 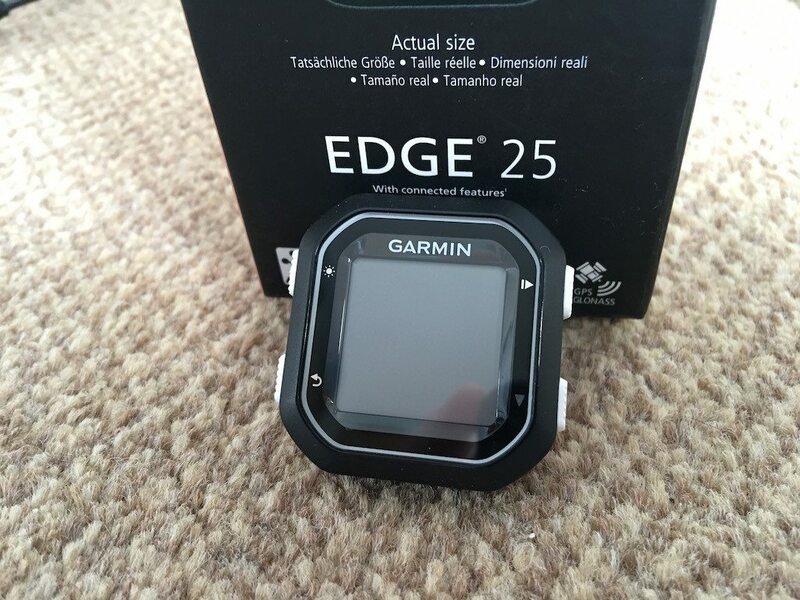 Then it’s important that we get a clear benefit from it, as we do with the Edge 25. I’m not a great fan of mounting devices on a bike stem, I find them to be out of my eye line. 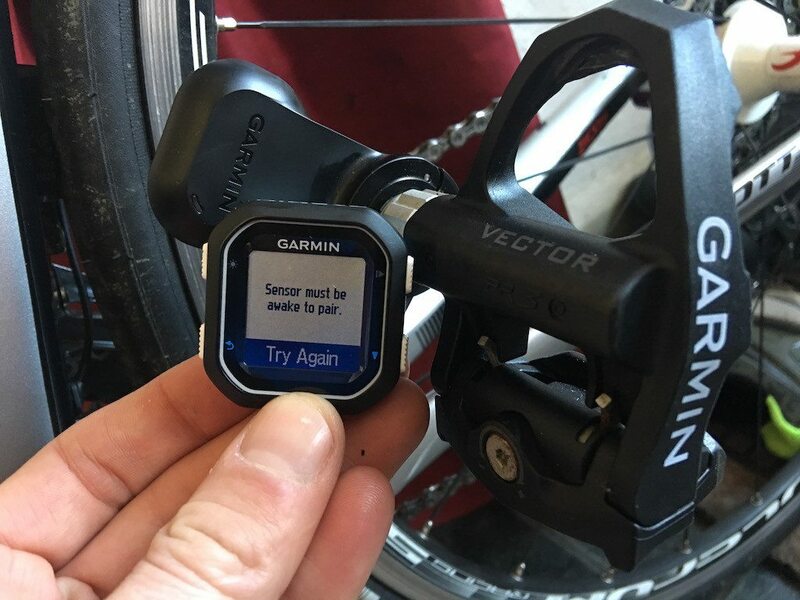 I’d almost think it better for Garmin to let you choose an out front, or stem mount. But as that might affect the stock being carried, just reduce the price and not include the mount? 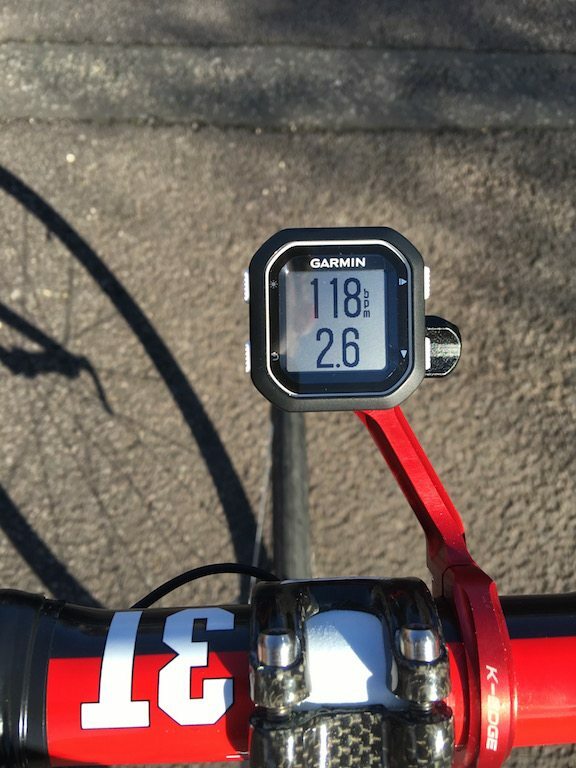 However I can see why an out front mount isn’t included… Mounted on my K-Edge stem… It just looks a little daft! The unit is just too small! It barely covers the actual mounting plate! 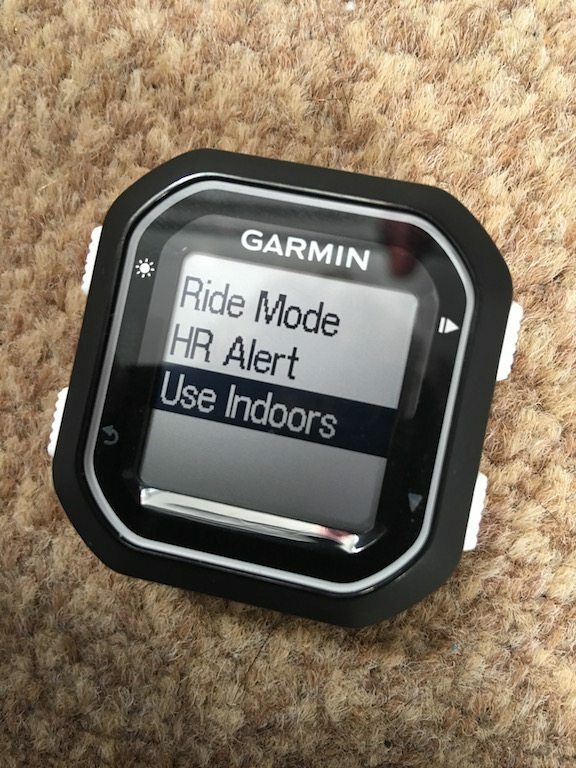 The connection to your phone allows one of Garmin’s great safety features – LiveTrack – so someone can follow your progress, and if you have a mishap, know where to pick you up from. 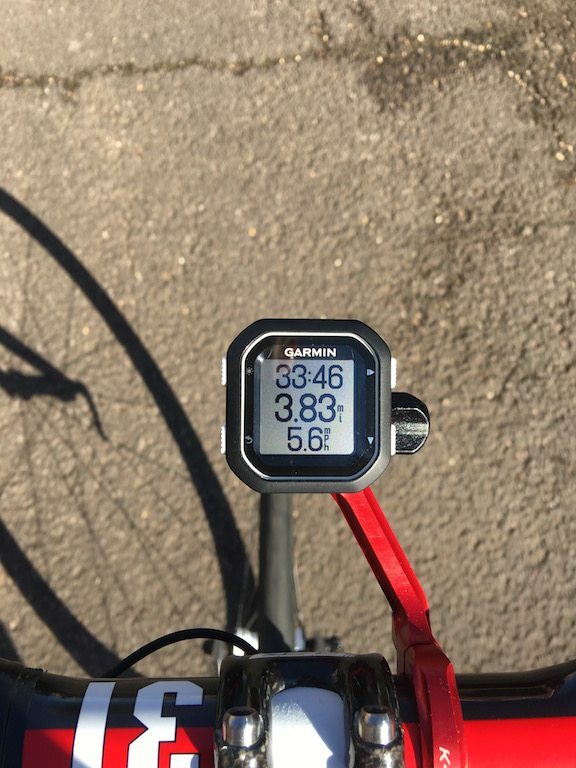 The Garmin Edge 25 can also keep the bluetooth connection throughout your ride, and flash up texts and calls as they come in, but the screen is again VERY small. YES THE PEDALS ARE AWAKE! 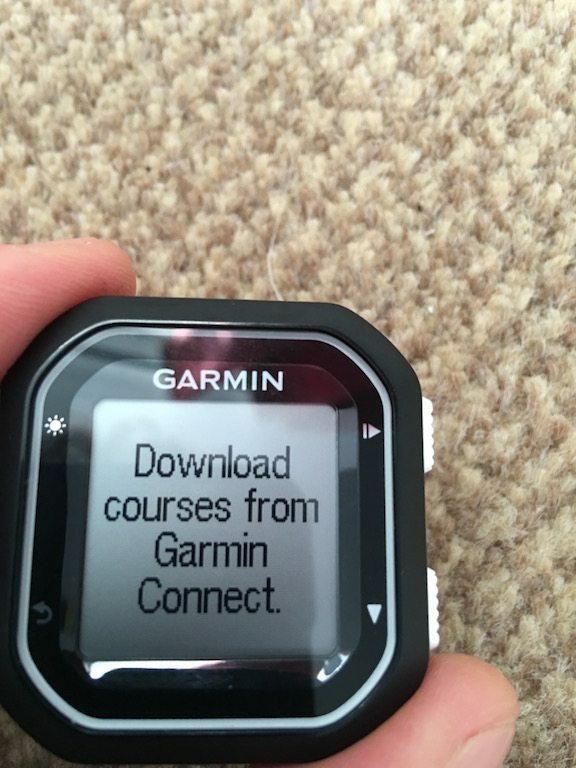 You have to create a Garmin Connect course, which is then loaded onto the device. I think I’ll just follow my nose! 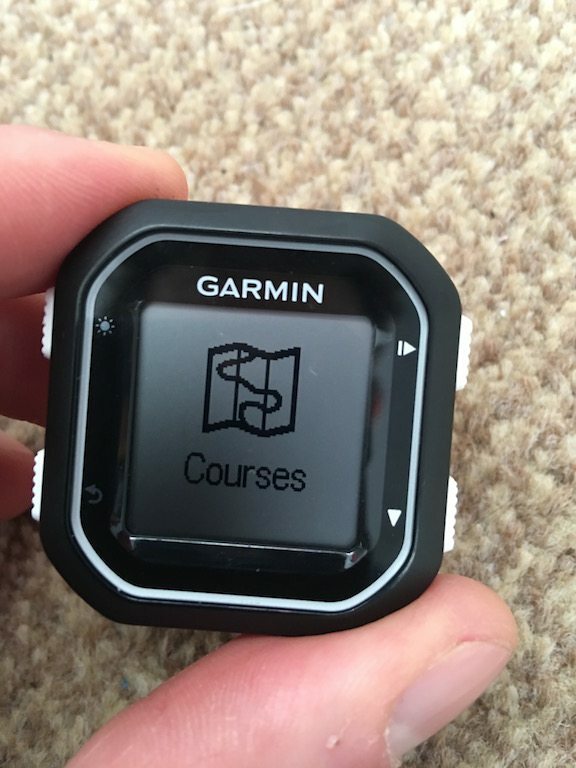 But to be fair, in a device of this size and cost, I view course navigation as an additional, not a major feature. 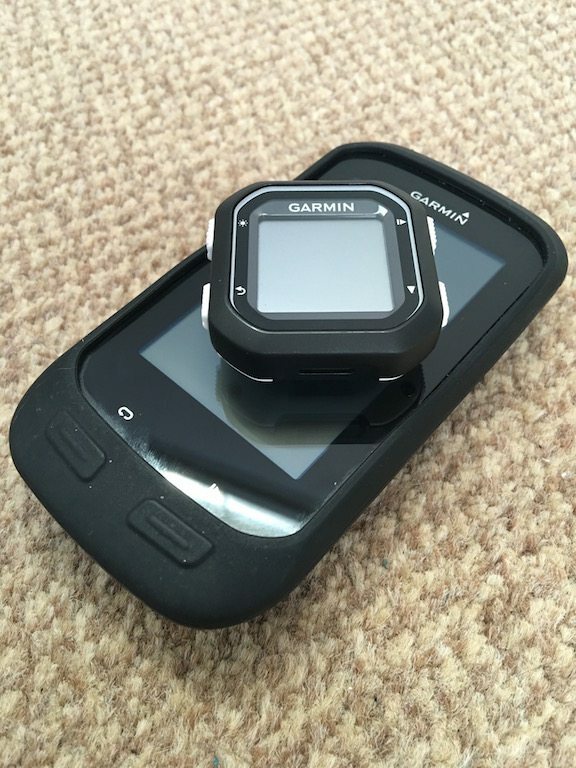 The Garmin Edge 25 is a REALLY small device, but I do wonder if it looses out somewhat with that size? The monochrome screen is great in the harsh light than can fade out many of the colour displays, but at the same time, I wonder if it would have been better to aim for a slightly larger screen? 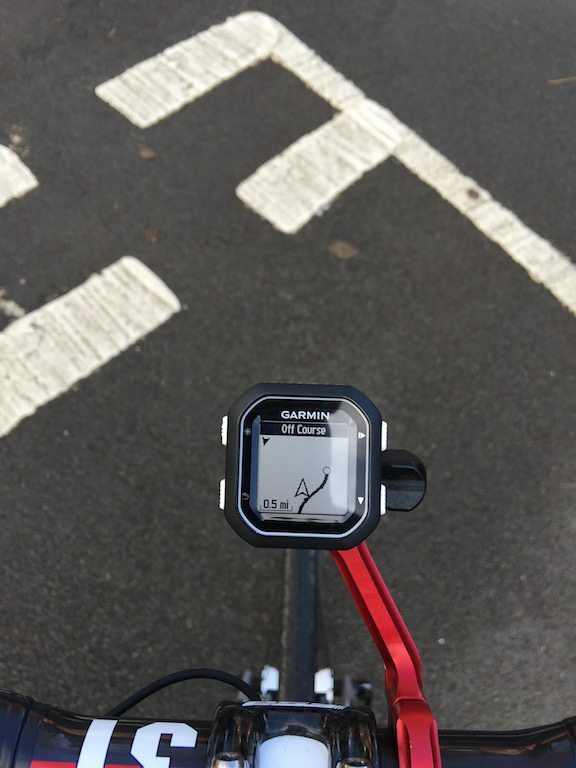 I think the Garmin Edge 25 is certainly a great backup device. Perhaps a starting GPS, but from a road perspective, I think people will grow out of it fairly quickly. The inclusion of LiveTrack I think is the feature that pulls bonus points compared to other similarly sized units. 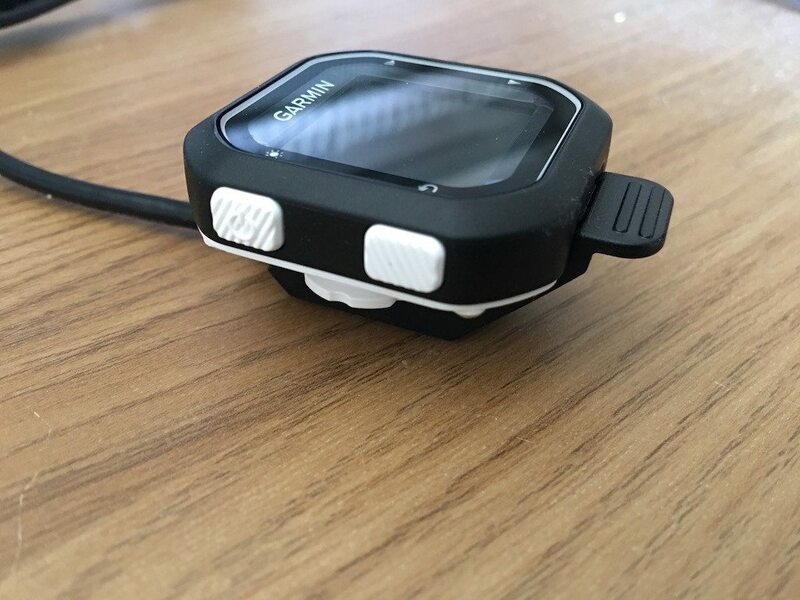 Making me think of this as a very good device for use on mountain bikes trails, where you dont WANT a huge device dominating your bars, but want to record your efforts. 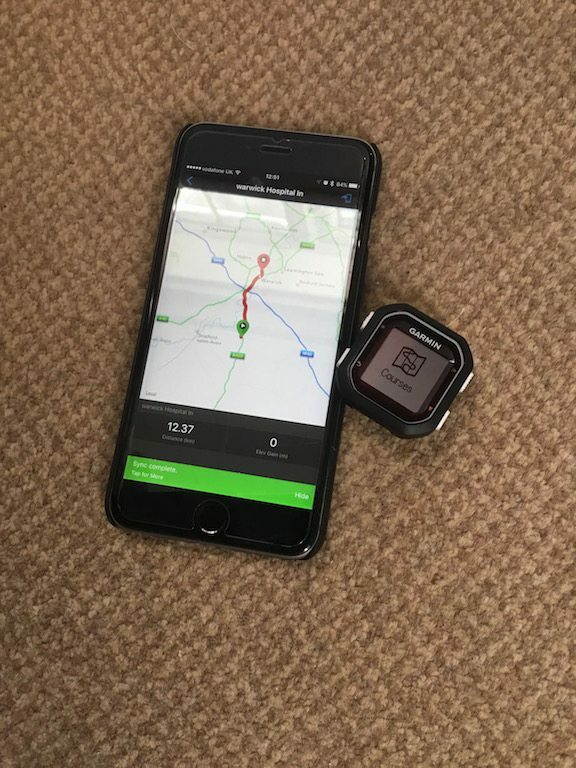 Plus the navigations directions are more useful there, and as mentioned, you’ve always got a watching friend – assuming you have any friends! With that, back next week! 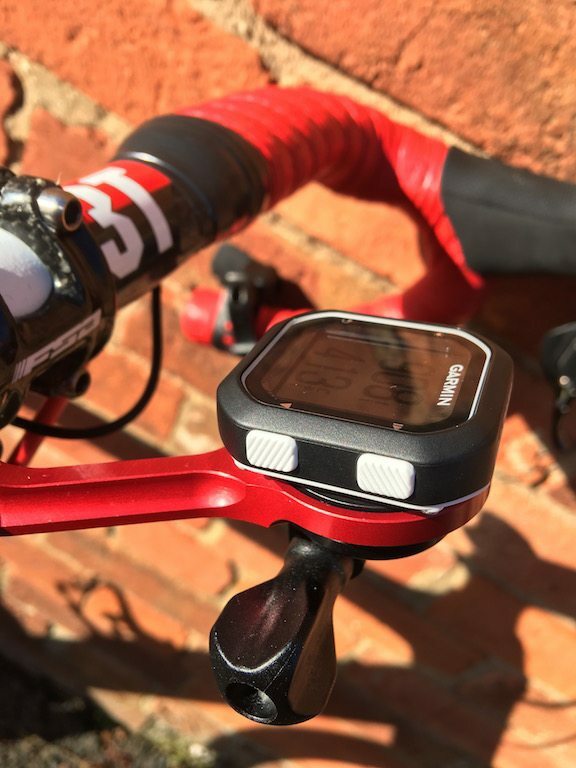 Rido R2 Saddle Review – Saddle protection for your perineum!